In most cases, the allocation in an asset category is mentioned as a range. 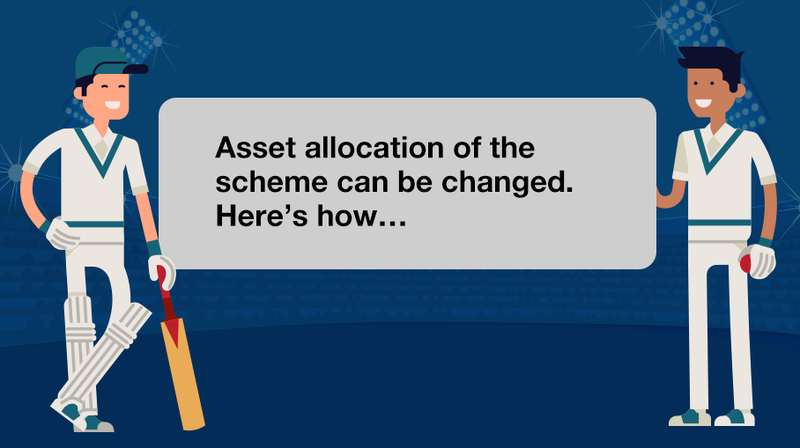 The fund manager cannot change the asset allocation beyond the limits set in the SID, but is allowed to change it within the given boundaries. For example, within equity, the allocation between large-cap and mid-cap companies is not mentioned above, which allows the fund manager flexibility to maintain different allocation between large-cap and mid-cap at different times. If there is a need to make a change in the asset allocation of the scheme, the fund management company must take approval of the fund’s trustees and existing unitholders. The company also has to announce the proposed change in public. All the existing investors can exit the scheme for a period of 30 days, without paying exit loads, if any.